UPDATED: Sat., July 14, 2018, 10:13 a.m. The two leading candidates for Eastern Washington’s congressional seat both raised record amounts of money in the past three months, setting off a debate between the campaigns about who is doing better in the race for cash. They sparred over who raised more from what sources and where. 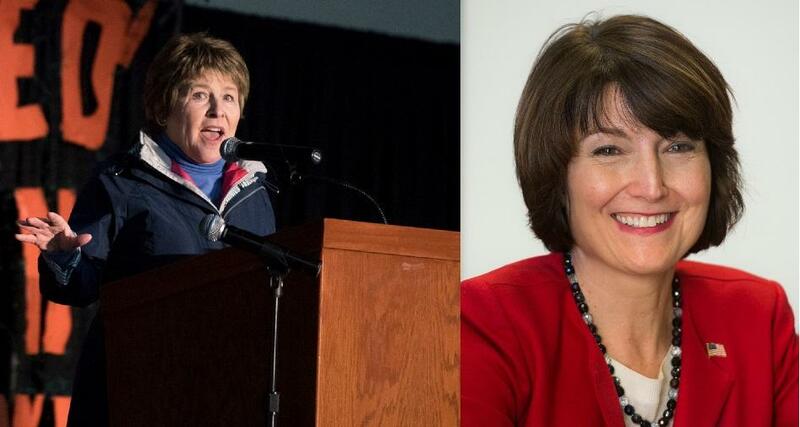 Reports filed Friday with the Federal Elections Commission show Republican incumbent Cathy McMorris Rodgers raised more than $1.1 million between April 1 and June 30. “It’s the best quarter we’ve ever had,” campaign spokesman Jared Powell said. Democratic challenger Lisa Brown raised $931,125, which would seem to put her slightly behind. But her campaign spokesman, Jack Sorensen, argues that a true comparison requires subtracting nearly $183,500 from McMorris Rodgers’ total because it comes from the incumbent’s joint fundraising committee, the American Dream Project. The Brown campaign also raised more money from Washington donors, Sorensen added. American Dream Project is a joint effort by the McMorris Rodgers campaign, her leadership political action committee CMR PAC, the National Republican Campaign Committee and the Washington State Republican Party. ADP has larger donation limits, so some contributors have given as much as $150,000. But that organization can only receive a share of any donation that doesn’t exceed the federal limit of $5,400 total for a primary and a general election to the campaign, Powell said. If a donor hasn’t given to the re-election campaign, the first $5,400 goes there; if they’ve donated but haven’t reached the limit, the organization can send the difference. Many donors give to the organization to simply write one check that will be split among the various committees, he said. In any case, some of that money is being used for the commercials hitting the airwaves, and the candidates have money for more. Powell questioned the Brown campaign’s claim it had raised more money from Washington. If they aren’t itemized, there’s no way of telling if they’re from Washington, Powell said. But the FEC only requires a campaign to list information like name and address for contributions of $200 or more, Sorensen said, although the campaign collects that for every donor. “We have information for everyone who’s contributed,” he said. A check of the addresses for McMorris Rodgers’ individual contributors would show “83 percent call Washington home,” Powell countered. The Brown campaign also has collected some $390,000 from ActBlue, an online payment system that allows people to make contributions to a designated campaign with a credit card, which Sorensen likened to PayPal for candidates. Some make single donations, others set up monthly withdrawals. The campaign has information for those donors, too, and it’s listed on FEC reports as soon as the total hits $200. When all the contributions and expenditures for the campaign are added up, the incumbent has thus far out-raised and out-spent her main challenger. McMorris Rodgers has raised more than $3.7 million and spent more than $2.3 million. Because she started with some money left over from her 2016 campaign, she has $1.7 million in the bank. Brown has raised almost $2.2 million and spent more than $1.1 million. She had slightly more than $1 million in the bank at the end of June. The other three candidates seeking the congressional seat, Jered Bonneau, Dave Saulibio and Kari Ilonummi, have not filed reports for the past three months with the FEC. Published: July 13, 2018, 10:01 p.m. Updated: July 14, 2018, 10:13 a.m.